Please stop by my upcoming Holiday/Studio sale with friends Geoff Hargadon (of Cash For Your Warhol), and Bill Thompson. Together, we'll be featuring photographs, prints, sculptures, t-shirts, patches and much more! Lo-Rise is part of the 6th Annual Observatory Hill Holiday Stroll. 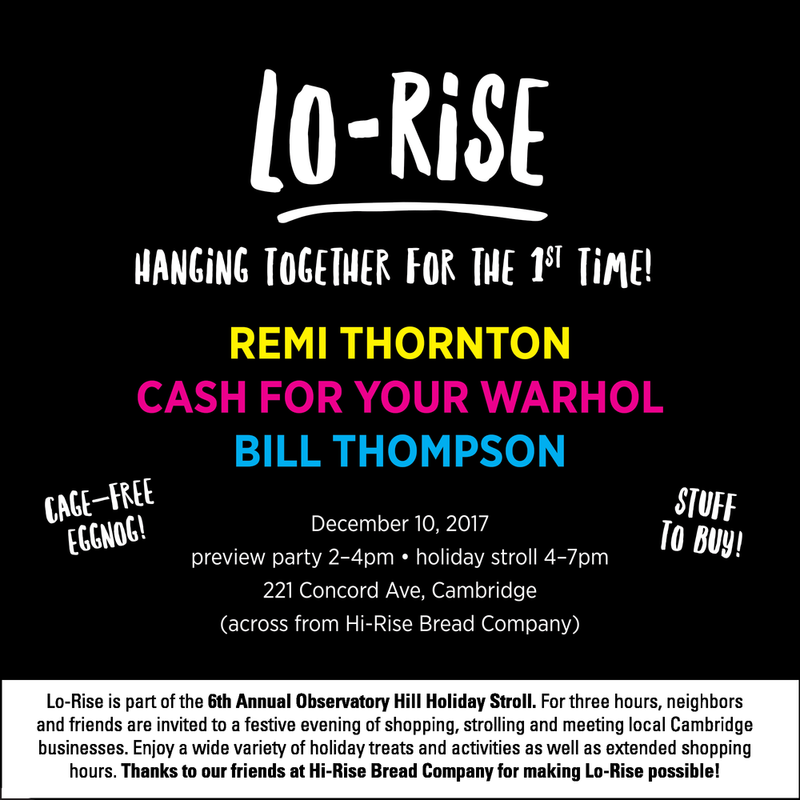 For three hours, neighbors and friends are invited to a festive evening of shopping, strolling and meeting local Cambridge businesses. Enjoy a wide variety of holiday treats and activities as well as extended shopping hours. In addition to Lo-Rise, the Holiday Stroll will include a holiday bazaar at Hi-Rise Bakery, cookies, warm cider, roasted chestnuts, face painting, and more. Thanks to Hi-Rise Bakery for helping to make Lo-Rise possible!